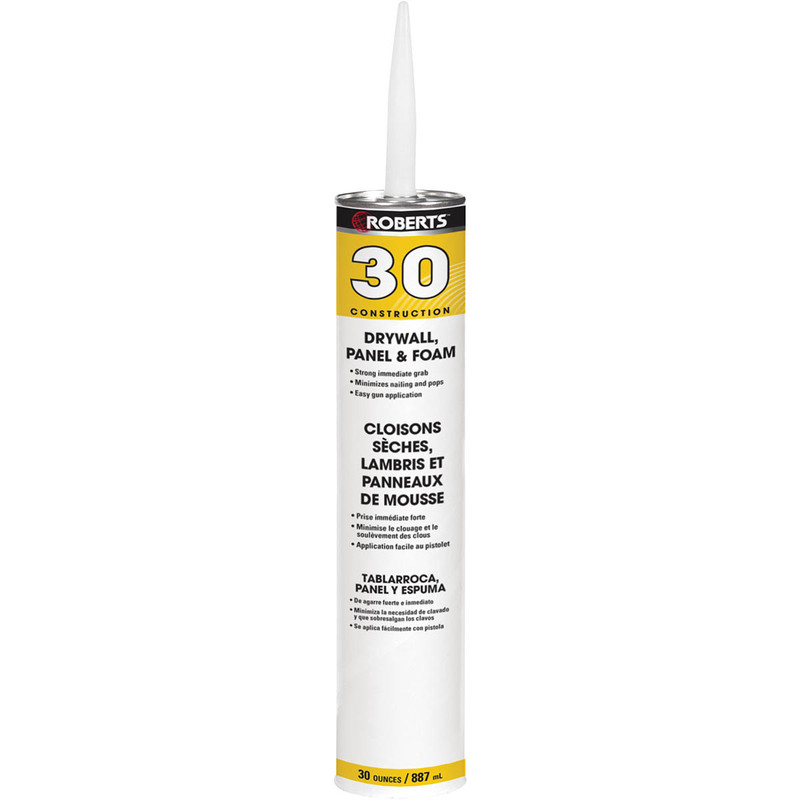 ROBERTS 30 Construction Adhesive is specifically formulated for the interior installation of drywall, paneling and foam board. This premium-grade adhesive provides immediate grab with good tack for accurate placement and a permanent bond, reducing the need for nailing and preventing nail pops. 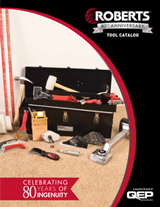 ROBERTS 30 is easy-to-use with any standard cartridge gun. It is solvent-free and does not contain ingredients harmful to health or the environment. 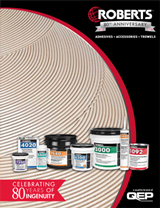 ROBERTS 40 SUBFLOOR & DECK is a premium-grade Construction Adhesive specifically formulated to permanently bond wood subfloors, plywood, fiber composite, and paneling. 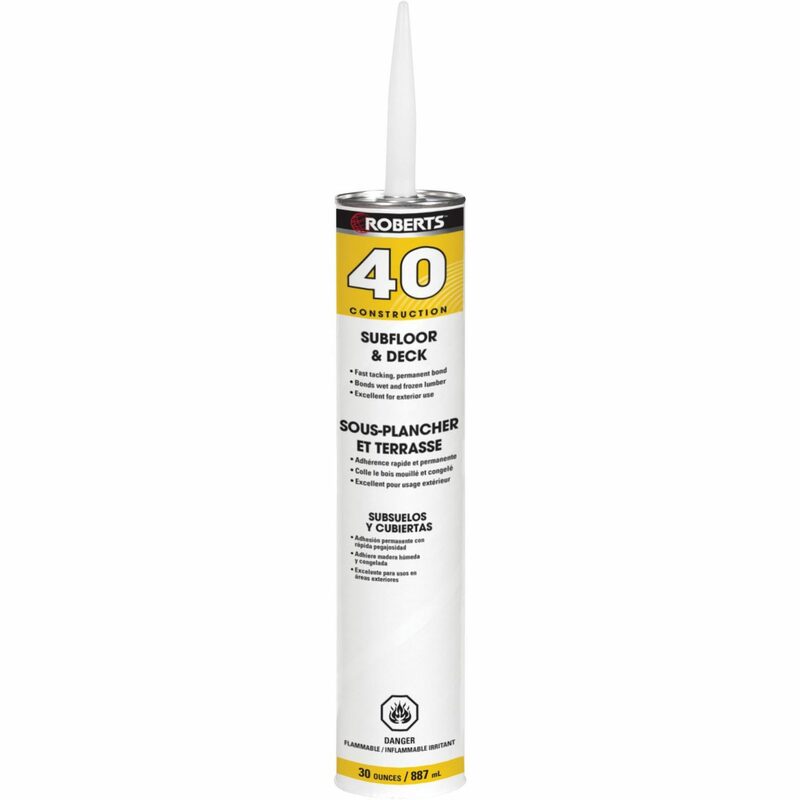 ROBERTS 40 is excellent for exterior construction and decks. This solvent-based adhesive helps to prevent floor squeaks and improves the structural performance of the flooring assembly. ROBERTS 40 bonds wet, frozen, and treated lumber and meets all requirements for construction adhesives used in manufactured housing. and exterior projects. 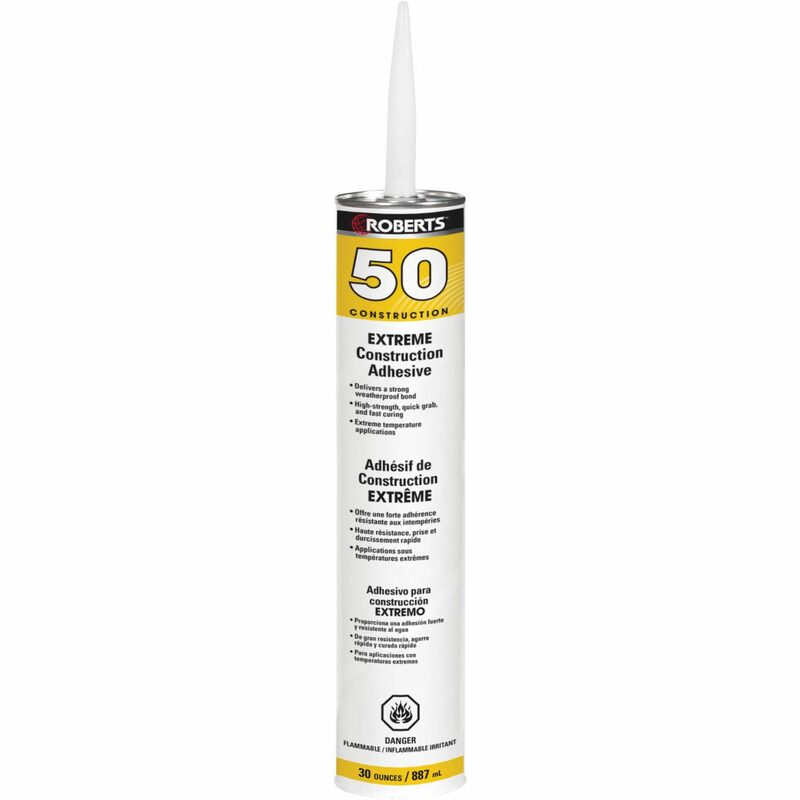 ROBERTS 50 is repositionable for up to 10 minutes and reduces the need for bracing and nailing.